England, meanwhile, were sitting pretty at the top of the ODI rankings following a blistering run of form: a five-nil whitewash of the depleted Australians followed by bilateral series wins against India at home and Sri Lanka away. The Barmy and Swami armies looked over the hills and far away when it came to world cup favouritism. The only real question was which of the two deserved to go in as the outright team to beat come June. In a mere two months the Australians turned a 2-0 deficit against India into a remarkable comeback victory before whitewashing Pakistan in the UAE. In the western hemisphere England managed a two-all series draw against a rejuvenated West Indies outfit in a breathtakingly entertaining five-match series. 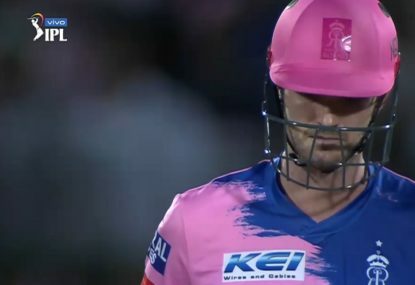 And after being bundled out for an incredibly low 113 in St Lucia, the Poms weren’t looking as invincible as they had been at the start of the year. With just under two months to go until England and South Africa commence proceedings at The Oval, which side deserves the favourites tag? How much should we read from the recent turnaround in form? From an embarrassing group stage exit at the 2015 World Cup to their current mantle as the world No. 1 ODI side, England’s remarkable turnaround has catalysed the evolution of the format, setting a blueprint which other nations have attempted to follow. A glance at their line-up for the first game of the 2015 World Cup is enough to identify the first key change England have made: differentiating their long and short-form players. The XI that lost to Australia on the opening day in 2015 comprised a top order of recycled Test regulars (namely Moeen Ali, Ian Bell and Gary Ballance), Jos Buttler trapped at No. 7, only one all-rounder in Chris Woakes, no frontline spinner and a Test match bowling attack of James Anderson, Stuart Broad and Steve Finn. That stands in stark contrast to the present-day XI picked specifically to implement an aggressive approach to the shorter format. 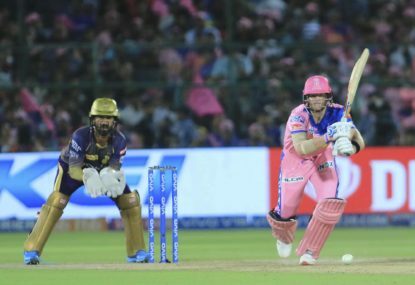 The top order of Jason Roy, Jonny Bairstow and Alex Hales are dynamic and explosive with years of experience plying their trade in T20 tournaments across the globe. 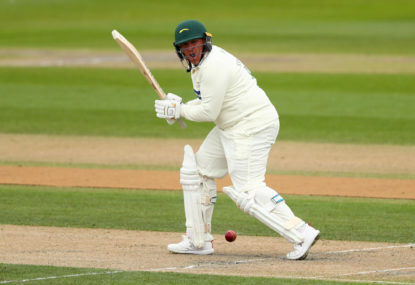 Jos Buttler now plays as a floating batsman, as high as first drop or as low as the tradition wicketkeeper’s role depending on the circumstances of the game. The central premise of the English ODI revival is mindset. 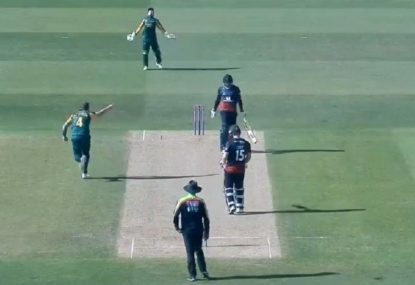 A team selected to play an aggressive brand of cricket was given the chance to play with freedom and flair, developing confidence and momentum over the long term. 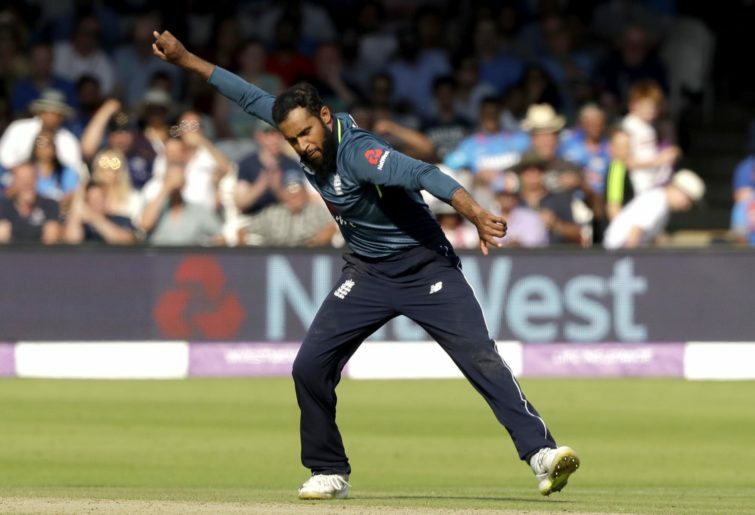 Wrist spinner Adil Rashid’s progression elucidates a further point of difference from 2015, allowing Morgan to maintain an attacking bowling strategy during the middle overs. Such has been Rashid’s effectiveness, attempts have been made to emulate England’s strategy around the world – the Aussies with Adam Zampa and the Proteas with Imran Tahir spring to mind as key examples. It’s hard to pinpoint a weakness for this English side, but if I were to be pedantic, I would suggest that their bowling attack seems inexperienced on face value in comparison to the cartels boasted by the likes of South Africa, Australia, New Zealand and even India. Perhaps the ‘hosts’ tag and the subsequent pressure may play a role, as it has in tournaments past. Entering the 2017 Champions Trophy in an almost identical position, the English dominated the group stage before going down in a shock upset to eventual winners Pakistan in a semi-final. For Trevor Bayliss’s men, that semi-final loss in Cardiff will set the benchmark for what exactly they need to avoid. 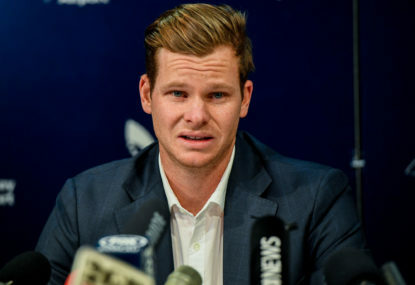 Australia’s ODI troubles over the past 24 months have long preceded the ball-tampering saga and the subsequent loss of Steve Smith and David Warner. Before their incredible come-from-behind victory in India their last bilateral ODI series victory (home or away) was a 4-1 triumph over a visiting Pakistan in early 2017. And just to put the series victory against India into perspective, not only had Australia just been thoroughly outplayed by the same Indian side on Aussie turf, but to find the last successful ODI tour of India by an Australia side one must go all the way back to October-November 2009. The touring party that won that mammoth seven-match series 4-2 included Doug Bollinger, Andrew McDonald, Burt Cockley and Graham Manou. Feeling old yet? Australia’s sudden change in fortune is a testament to what can be achieved when the selectors pencil in a group of players and back them in with confidence for multiple tours on end. 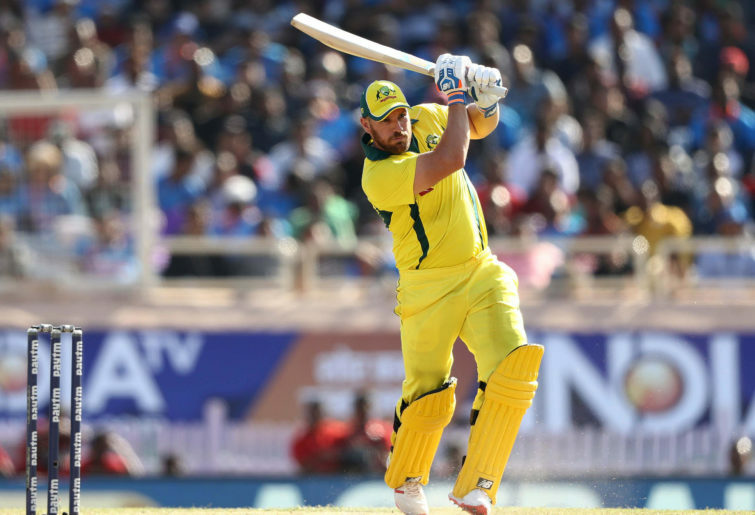 Consistent matches batting together as a core batting unit have allowed Aussie openers Aaron Finch and Usman Khawaja to find a rich vein of form they would’ve dreamt of. Shaun Marsh and Pete Handscomb have found consistent runs, with the latter notching up invaluable experience in foreign conditions, while Glenn Maxwell and Marcus Stoinis suddenly seem like a formidable all-rounder pairing capable of turning a game on its head. At the other end Jhye Richardson’s injury could not have come at an unluckier time for the promising young quick, but on the flip side the run of eight victories has been without Mitchell Starc and Josh Hazlewood. 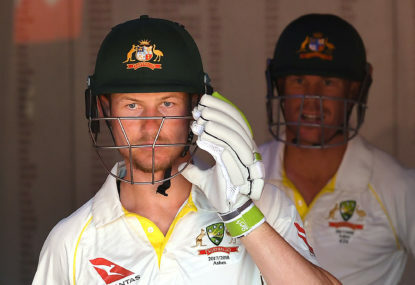 Lo and behold, after having their chances at a title defence scoffed at a mere couple of months ago, Australian selectors now have the beautiful dilemma of having to decide how Steve Smith and David Warner fit back into the fray. As much as the run of form has suddenly given our World Cup chances more relevance, the Aussies are currently running high on confidence, a supply that could run out suddenly and devastatingly in the blink of an eye. Let’s be frank: when are India not in contention for favouritism at a major tournament? Winners at the 2011 World Cup on home soil and semi-finalists at the 2015 edition, India’s ability to maintain their status as a dominant force in international cricket is quite frightening. Despite the tournament being on English soil, many consider the current crop of fast bowlers the best to ever leave Indian shores. In terms of Indian world cup bowling cartels, the current trio of Bhuvneshwar Kumar, Jasprit Bumrah and Mohammad Shami are the most talented group of pacemen India have assembled since Ajit Agarkar, Javagal Srinath and Zaheer Khan at the turn of the century. Bumrah’s unconventional style and searing yorkers have earnt him a place among the world’s best death bowlers, while Mohammad Shami demonstrated on the Indian tour of England just last year how devastating he can be with the swinging ball. Add the explosiveness of all-rounder Hardik Pandya and then India’s most potent weapon, spin twins Yuzvendra Chahal and Kuldeep Yadav, and one should expect some very modest totals from India’s rivals. It’s in India’s batting line-up where I believe their weakness lies, which sounds funny given they have Virat Kohli at No. 3. It’s no secret that India relies heavily on the shoulders of their captain to anchor and guide their innings. An Indian batting scorecard on which Kohli scores up to half the team’s total isn’t a rare occurrence. In the last three ODIs they lost to Australia, Kohli scored 123 runs in one game, with the next highest score of 32 from Vijay Shankar, and misfired with scores of seven and 20 in the remaining two matches. If the opposition can make early inroads during the powerplay, dismissing the Indian top order or even two of their top three cheaply, they will have gone a long way to winning the match. As they say, take the head of the snake and the body writhes away into irrelevance. Past Indian sides boasted an impressive array of middle-order batsmen, including the likes of Suresh Raina, Yuvraj Singh and the reliabile Ajinkya Rahane. The likely selection of Ambati Rayudu, Kedar Jadhav and Vijay Shankar for the 2019 tournament seems weak in comparison. Putting the three side by side and it’s no surprise the English hold the mantle of being the No. 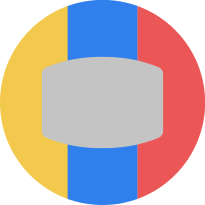 1 ODI side. The Aussies have the personnel to go all the way, but with huge question marks over the performance of Steve Smith and David Warner upon their return, tournament favouritism would be a stretch too far. But, as every cricket fan would know, at major tournaments the safest bet is to expect the unexpected. England to go in as favourites.